Obviously you have heard about CPA marketing and have taken some interest in this area. You may just want to start a personal blog for the fun of it. I am going to cover what you need to do to get a blog on the internet. There is a lot of information out there from the very basics all the way to the most advanced marketing techniques imagined. There are many methods of generating and driving traffic with the intention of making money off of it. 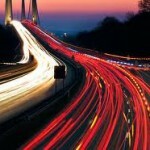 In my opinion, no matter how you drive traffic, it is always best to send your visitors to your site. You can control the user experience and hone everything in to maximize ROI. With that being said, I highly recommend starting with a blog. A self-hosted blog is going to be much better in the short run and the long run. You are not subject to having your blog removed due to ever changing rules or policies. Plus all of the search engines absolutely love a properly set up blog! You can also set up a blog with your own hosting and your own domain for very little money and start sending traffic right away! I will walk you through what I suggest everyone starting out should do. The first thing you are going to need is a domain. There are many domain registrars out there. Use the one that you feel most comfortable with. The 2 largest and most widely known are Godaddy and Namecheap. I have used both and have no complaints with either of them. One of the most important steps in the process is choosing your domain name. You need to choose a domain that is relevant to your vertical (what type of offers you are going to monetize. Weight loss, dating etc.). You do not want to use airplanes.com for a dog training blog. You get the idea. Take your time and choose wisely. Make sure that the domain name you choose does not appear suspicious or scammy either. This could cause your visitors to immediately leave. Now you have registered a domain you need to make sure that you tie your domain to a hosting account. Hosting will make it so that yourdomain.com will actually be accessible on the internet. There are many, many hosting companies out there with many choices for hosting plans. Personally, I highly recommend that you start with Hostgator. Their services are cheap and their support is amazing. You get quite a bang for your buck also. In my opinion, it is not necessary to spend much money until you start making money. I recommend Hosgator’s shared hosting baby plan. The cost is minimal monthly and it comes with the cpanel interface. This is a must for me. Cpanel makes things so much easier. Ok, now you have hosting and a domain. It is now time to tie everything together. When you signed up for your hosting you received an email with instructions on how to log in to your cpanel account and you also received your new nameservers. You will need to point your domains to the correct nameservers. Go to whom ever you registered your domain with and follow their instructions on doing so. You can contact their support for guidance. Now you will need to add the domain to your hosting account. This is as simple as logging into your hosting account and accessing “add on domain” in cpanel and then filling in the on screen fields. Again, you can contact your hosting support for help with this. But it is straightforward. The next step is to add something to your domain for it to be visible to the world. 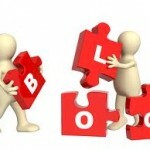 We have established already that a blog is an excellent way to go and WordPress is the most commonly used for a reason. In cpanel scroll almost all the way to the bottom and look for the fantastico icon. Click on it, then click on WordPress, then click on new install, then choose the domain you want WordPress installed on. From there enter the details in the fields and jot them down. Then click on finalize installation. Boom, now you have a blog! Now, you should be able to browse to your domain in your web browser and see your blog. 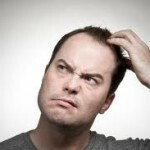 You can browse to yourdomainname.com/wp-admin and log into the admin side of your blog. 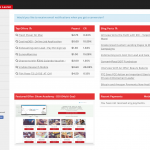 This is where you will be able to add posts, pages, and make other admin changes. Getting a website online really is this easy. 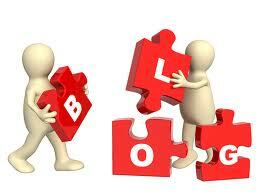 Blogs are very powerful and very easy to use and set up. Next I will go over some common settings that should be tweaked, menus, and other aesthetic tweaks to make things work as smooth as possible. You can also find a ton of WordPress tutorials anywhere online. Until the next post, play around with your new blog. Try out the different settings and see what they do. Add a new post. Have fun! After all, this is your first step in the online world! It really IS that simple to get it all going.